When I got back into the hobby of baseball card collecting in the summer of 2008, my goal was to pay homage to the players that helped build my love for the game and the hobby. The first subset I put together that helped me with that cause was the ‘Super Veterans’ subset from the 1983 Topps baseball card set. This set is a beauty and it highlights the true legends of the game as their careers were winding down. For the last few years, I have actively been begging Topps to bring this subset back and pay honor to today’s ‘Super Veterans’. 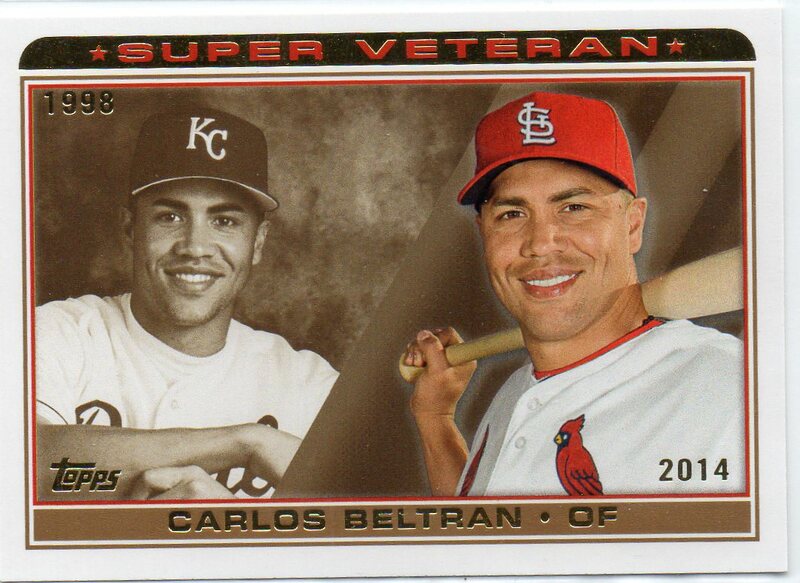 And while I cannot confirm that they obliged my request, I was very excited to see that a 15-card ‘Super Veterans’ subset was part of the 2014 Topps Series 1 release. Entering the 2014 baseball season, Carlos Beltran will begin his 17th big league season. He is a 8-time All-Star and has won 3 Gold Glove awards and 2 Silver Slugger trophies as well as being the 1999 Rookie Of The Year. Beltran has 2,228 career hits in 2,064 games. He has a career batting average of .283 with five seasons of .300 or better on his resume. 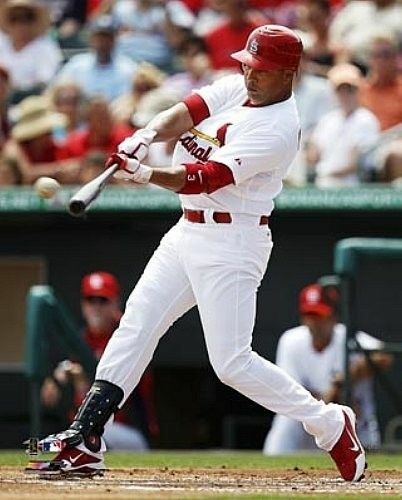 He has 446 doubles, 77 triples, and 358 home runs. Beltran also has 308 stolen bases to his credit alongside 1,346 runs scored. Hall Of Fame Debate: Cast Your Vote For Carlos Beltran!!! I’m going to take a little break from my ‘Head To Head’ battles with my Thursday series ‘Hall Of Fame Debate’ as I wanted to talk about some of the players that battled in the 2013 World Series. So, for the next four weeks, we will review the careers of four players that starred in the series to see if they are or will be Hall Of Fame worthy. There will be 2 Cardinals players and 2 Red Sox players discussed in these posts. Carlos Beltran completed his 16th season in the big leagues at the conclusion of the 2013 baseball season. His numbers continue to impress, and he was probably the most well-rounded, and dependable, offensive player for the Cardinals this past season. A very, impressive, and still growing resume! And, I think that with two more healthy seasons, playing in the right ballpark, Beltran can get to 400 career home runs, 1,500 RBI, and 1,500 runs scored. And that is super impressive! He would become just the fourth player in major league history to join the ‘400/300 Club’ alongside Willie Mays, Andre Dawson, and Barry Bonds. On the flipside, the hits tally is on the lower side for an outfielder. And while Beltran has averaged 155+ plus hits in each of the last two seasons, it would take that consistency over a 3 year stretch to reach 2,500 for his career. Lastly, when you talk postseason, his name is cemented as one of the great performers of his generation. His ability to hit for a high average and drive in runs when needed is elite. 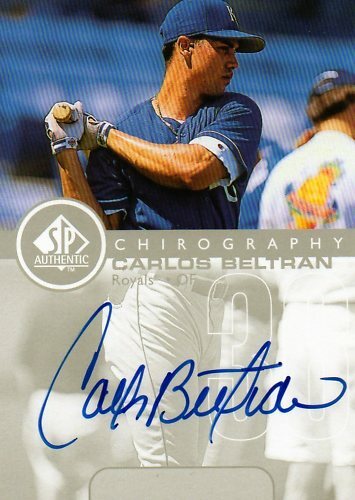 Does Carlos Beltran get my vote for Hall of Fame enshrinement?? YES!! I think he needs to knock off a few more milestones over the next 2-3 seasons, but I do believe that he will do just that. And then the conversation will really take off. Now, it is your turn. Cast Your Vote For Carlos Beltran!!! ST. LOUIS — Cardinals outfielder Carlos Beltran became the first switch-hitter in Major League history to reach 300 home runs and 300 stolen bases with his stolen base in the second inning of a 3-2 loss to the Royals on Friday night. He is the eighth player to reach the 300/300 milestone, joining Barry Bonds, Willie Mays, Alex Rodriguez, Andre Dawson, Bobby Bonds, Reggie Sanders and Steve Finley. Second base was pulled off the Busch Stadium field after the game and handed to Beltran at his locker in the Cardinals’ clubhouse. Team sources said Beltran is considering sending his used spikes from the game to the Baseball Hall of Fame in Cooperstown, N.Y.
Beltran, who spent parts of seven seasons with the Royals to open his career, played against Kansas City for the first time on Friday. He was named the 1999 American League Rookie of the Year as a 22-year-old, batting .293 with 22 homers, 108 RBIs and 27 steals. It was a special moment for Beltran to achieve such a milestone against the team he began his career with. The 35-year-old has seven stolen bases this season. He swiped a career-high 42 bags in 2004 while splitting time between Kansas City and Houston. He also leads the National League with 19 homers this year. He hit a career-high 41 home runs with the Mets in ’06. The Boxscore – Royals 16, A’s 8. Beltran was 1-for-1 with a single and a walk. He also scored two runs in the Royals win.